and for all county government Holidays. To provide public education on integrated solid waste management practices, encourage community and business reuse and recycling, provide opportunities and guidance for waste stream reduction, increase awareness for proper household hazardous waste disposal, promote composting of yard and landscape waste and initiate a market driven recyclables program for the District. 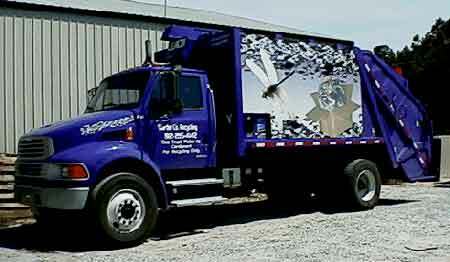 In July 2001 "Waste Age", A national business magazine awarded the Martin Co. SWMD's truck - as Best Design of the Year for a rear load truck in the 23rd annual contest. Board meetings are held on the third Wednesday of each month.